There are millions of survivors among us. Our family members and friends have suffered from cancer, heart disease, diabetes, etc. The intrusion of these diseases into our lives leaves a trail of incomprehension. These diseases have a way of reaching out and touching just about everyone; some harder than others. Depending on your age, you may have been personally touched already, and survived. You may have friends or relatives that are currently battling these common killers. 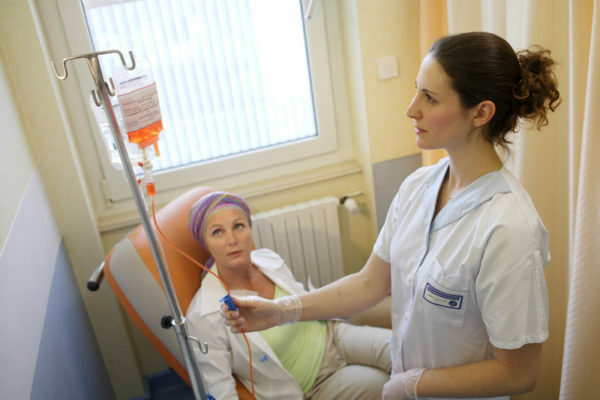 42% of cancer patients deplete their life saving during treatment. 3% of them file bankruptcy. 55% of those living with cancer accrue more than $10,000 in debt. Cancer in the US cost over $216 billion in 2009. 1/4 of people diagnosed with cancer put off treatment because of the cost. Cancer is costly emotionally and socially too. The Toledo Clinic Foundation is here to help with those non-medical costs. Cancer drug prices have skyrocketed—going from $5,000 to $10,000 for a year’s treatment before 2000 to more than $100,000 by 2012, according to another Mayo Clinic study. (Average household income in the U.S. dropped by about 8 percent during the same period.) While some patients are insulated from these price hikes by their insurers, many others, including those on Medicare, are on the hook for 20 percent copays for prescription drugs, which can translate to upward of $20,000 in yearly out-of-pocket costs. Avoiding financial disaster can add stress to patient’s battle against the disease. Not only are cancer patients 2½ times as likely to declare bankruptcy as healthy people, but those patients who go bankrupt are 80 percent more likely to die from the disease than other cancer patients, according to a 2013 study from the Fred Hutchinson Cancer Research Center in Seattle. And a 2014 survey conducted by the Cancer Support Community, a national nonprofit network, revealed that almost half of the 7,000 patients they polled were riddled with anxiety because of financial concerns, while about a third drained savings or tapped retirement accounts to pay for care. Our mission is to provide financial assistance for patients of the doctors at the Toledo Clinic who are currently undergoing treatment and are in financial need. If you are a patient of a Toledo Clinic Physician and are having trouble with expenses over and above your medical treatment, we can help. The Toledo Clinic Foundation can help with rent, transportation, utility bills, child care,etc. Follow this secure link to request assistance: https://www.toledoclinicfoundation.org/assistance/ or talk with your doctor about how we can help. Can you help our patients? 100% of your gift will go to help patients with non-medical needs such as rent, utilities, transportation, etc. Fill out this form and deliver it to Payroll to have your gift deducted from your paycheck. Another way to support us is to choose the Toledo Clinic Foundation when you shop at Amazon through the Amazon smile program: https://smile.amazon.com/. 80% of people diagnosed with cancer in NW Ohio are Toledo Clinic patients.